Student nurse bursary to be scrapped. The likely impact of scrapping the student nurse bursary in 2017 by the UK government . The UK government is proposing to scrap off the student nurse bursary in 2017. Currently those training to be nurses receive a student nurse bursary. The student nurse bursary has played an important role in motivating some people to join the profession. 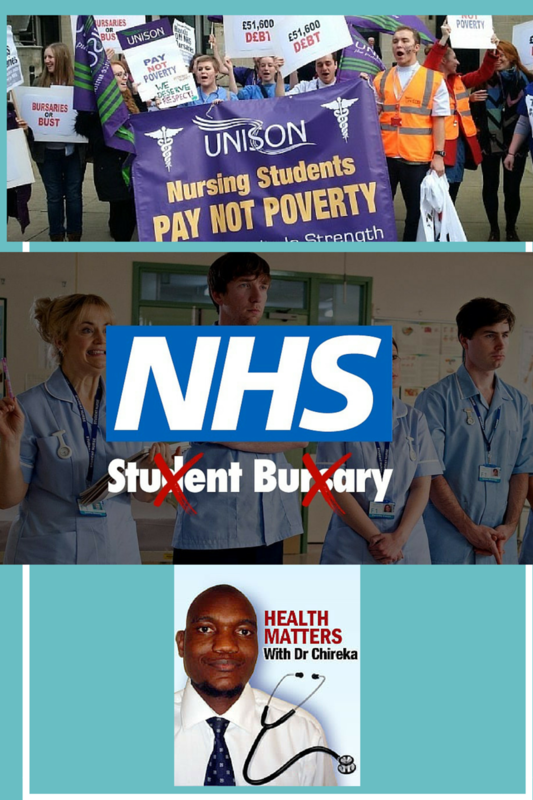 What is going to happen if the move to scrap the student nurse bursary goes ahead? 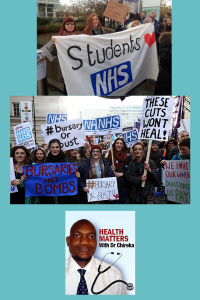 The National Health Service (NHS) has a huge shortage of nurses so one wonders the wisdom of scrapping the student nurse bursary. 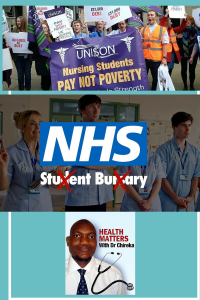 A poll done by the trade union UNISON found that 91% of the 2000 nurses polled would not have applied for their nursing degree without access to student nurse bursary. The most worrying thing is the debt that the newly qualified nurse are going to accumulate. According to UNISON the new nurses could end up with more than £50 000 worth of debt , but earning only £22000 per year . This scenario does not entice anyone to take up nursing and could worsened the already shortage of nurses. 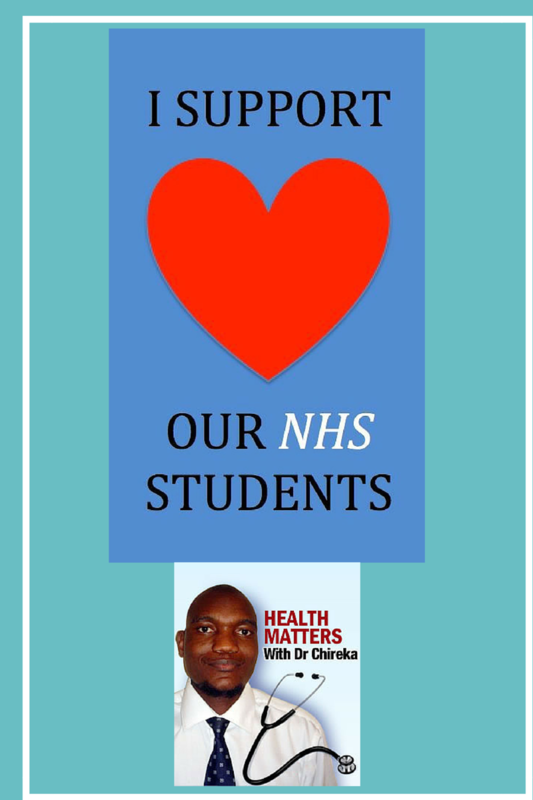 I know people from our Zimbabwean UK community who have embarked on nursing and are doing a fantastic job in the NHS. The majority of these nurses would not have embarked on the training if it was not funded. Figures shows that half of student nurses already have children or other caring responsibilities. We all know that ” everyone ” from Zimbabwe who is in the UK is at least supporting a family back home . No one would embark on a course that will leave them worse off . Even the locals are not entertaining that prospect of having no student nurse bursary. I am still baffled at the wisdom or non of it of this move by the UK government. Chancellor George Osborne made the announcement last year claiming that scrapping student nurse bursary for loans and removing the cap on student nurse numbers would result in more people being able to study to become nurses. This to me is a short sight on the chancellor’s part because he is assuming that people will run to grab loans without thinking about how they will pay for them in future. One need to look at the amount of debt one will accrue and the future salary. If the two does not make economic sense then no one will bother applying for training. The NHS is already struggling with staff recruitment and retaining and any move that reduces the numbers of student nurses is going to collapse the overwhelmed system. We wait and see but I hope the UNISON, NHS , Royal College of Nursing and the rest of the public will voice their concerns and hopefully the government will listen and reverse the decision. It’s not a lost cause as the implementation is for 2017 so there is time for it to be changed. Sometimes governments get it wrong and listening to the people on the ground will make them get it right so let them listen . I have added my voice as an individual who is just concerned. I welcome your views on this issue and suggestions on the way forward.